It’s always a nice treat when artists you truly love make a pit-stop in your city. Luckily for me, three artists united for an epic show last Thursday at the Hi-Tone Cafe, a Memphis favorite. 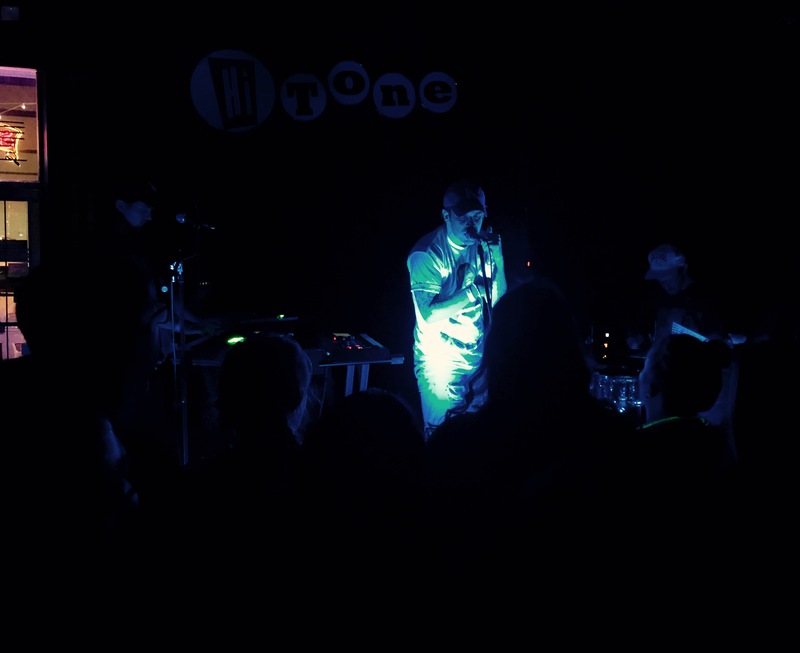 We had the alt-rockers The Band CAMINO who were guaranteed to deliver a balanced show with slower serenading moments and hand-clapping rock bangers that always get the crowd moving. I wasn’t sure at first how PHANGS’ quieter, dream-pop tunes would transfer to a live show, but he exceeded expectations on all ends. Vesperteen closed the show with illuminating electro-pop ditties and invigorating energy till the final note. When you fall in love with music more after you see it live, we must attribute it to the true artistry and warmth of the performers. 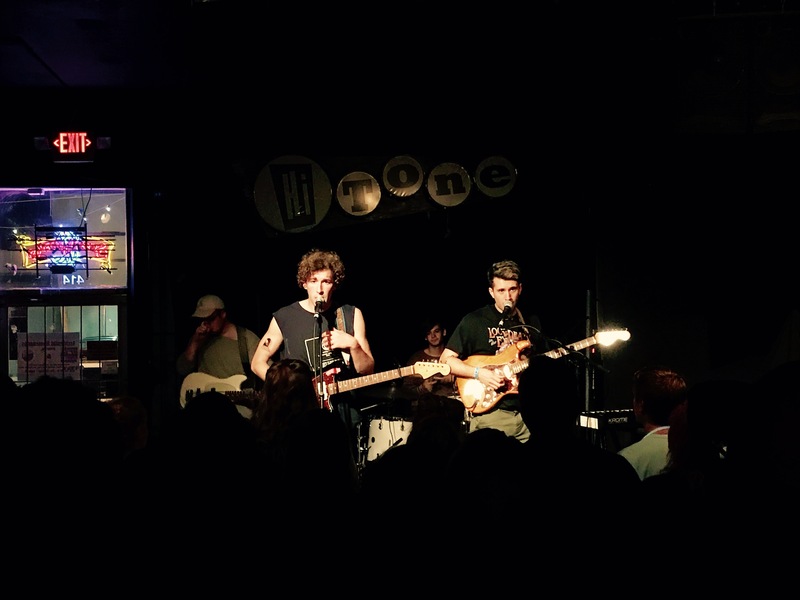 The Hi-Tone slowly filled with an eclectic crowd to match the eclectic lineup as the opening strums of The Band CAMINO’s “What I Want” swept the room. With beers in hand, everyone had their ears open ready for a live show they wouldn’t soon forget. It was one of those perfect openers – not too slow and not too fast – that enlivened the crowd but still left plenty on the table. They played many favorites including “The Black and White,” “2/14,” and “I Spend Too Much Time in My Room.” Their strongest song of the night was undoubtedly their closer “California,” with surround-sound builds of guitar riff and drum line that repeat and repeat until it all erupts at the conclusion. It undeniably fits the bill for a closing song that hits all targets. With only a 30-minute set and some frustrating technical difficulties throughout the beginning, this quartet uses charming on-stage chemistry and wide-ranging sounds to put on raw, dynamic shows. 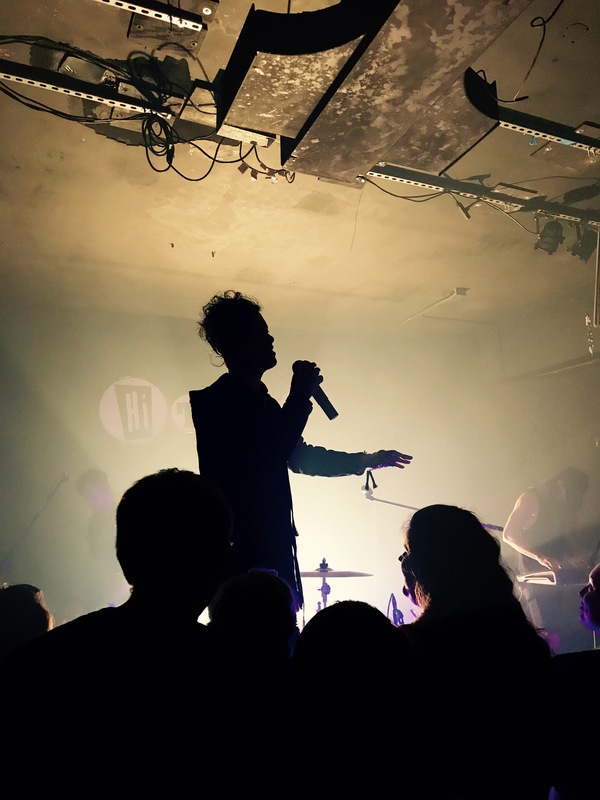 PHANGS followed the Memphis indie rockers with a dazzling set that displayed both his vocal prowess and enthusiasm for the music he creates. He opened with his wavy, entrancing EP title track “Get In My Arms.” At first, I thought to open with one of the slower tracks would be a mistake, but somehow PHANGS infused the entire room with an inescapable energy that made you forget the speed of the melody all together. He kept the energy flying high with synth-surging “I Think I’m in Love?” and my PHANGS favorite “Cul De Sac.” PHANGS bounced and grooved across the stage and you could tell he was channeling his inner Britney Spears as he sported an “Oops I Did It Again” throwback tee. He played every track off his debut EP to leave us only wanting to meet the brilliant performer who had eloquently unified strangers in this multi-sensory experience. As he closed with his hit “Always Been U,” PHANGS filled the Hi-Tone with a luminous buzz that would spill us over into the next work week. As the headliner, Vesperteen couldn’t have asked for a better set-up from his predecessors. Concert-goers chit chatted, perused the merch tables, and awaited the final act of the night to grace the stage. The drum-heavy “Inhale and Hold” and the twinkling “I Never Knew How to Love You” set the tone for a set with many sounds, feelings, and memorable moments. Vesperteen encouraged audience participation from start to finish as he walked within the crowd and created conversations in between his glittering rock-pop ballads. Although Vesperteen glimmered with talent during every moment, his covers of “Sweet Child O’ Mine” and “Chandelier” were undoubtedly my favorites of the night. He took the 80’s gritty rock sounds of Guns N’ Roses and flipped them on their heads to design a explosive pop-anthem that re-imagines the classic rather than simply covering it. “Chandelier” enthused the crowd as well especially when Vesperteen’s voice rose to meet Sia’s soaring notes of the chorus. His live performance entertained, delighted, and showed his charisma in a way that you can’t comprehend via a screen or headphones.